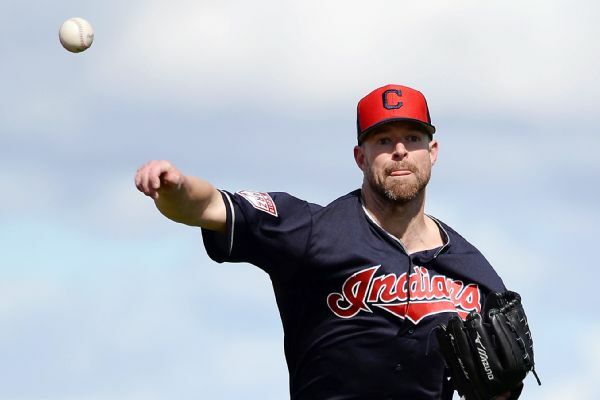 Two-time American League Cy Young Award winner Corey Kluber will start on Opening Day for Cleveland for the fifth consecutive season, matching a franchise record. 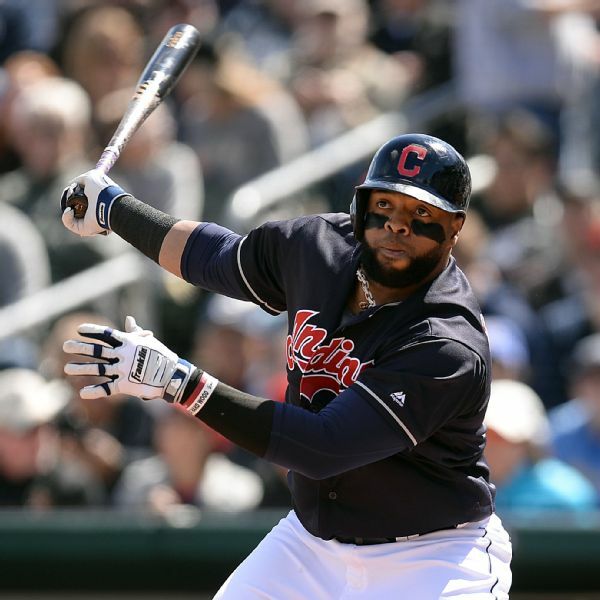 Carlos Santana's TV bashing days should be over now that he's back with the Cleveland Indians, a team solely focused on winning the World Series. 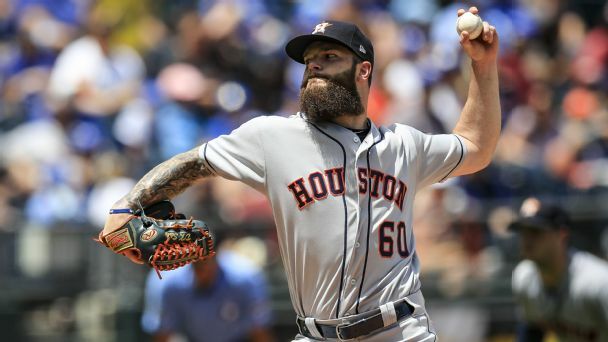 A look at who is still available in free agency, who could be involved in a trade, and the teams that could use a rotation upgrade. 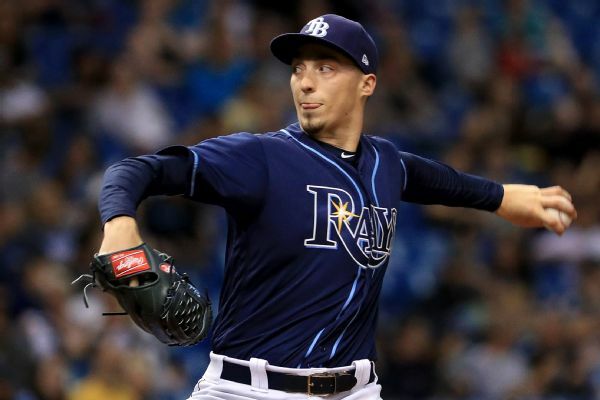 Blake Snell's breakout season has culminated in the American League Cy Young Award. 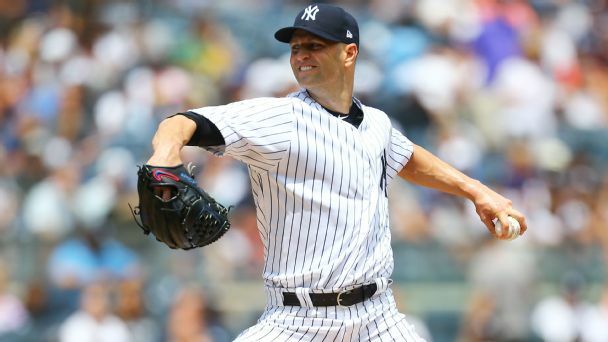 The Rays left-hander won out over Astros ace Justin Verlander and Indians stalwart Corey Kluber. 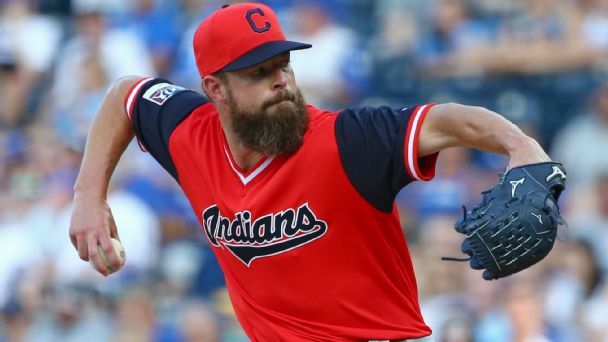 The Indians are open to trade offers -- even for their ace. 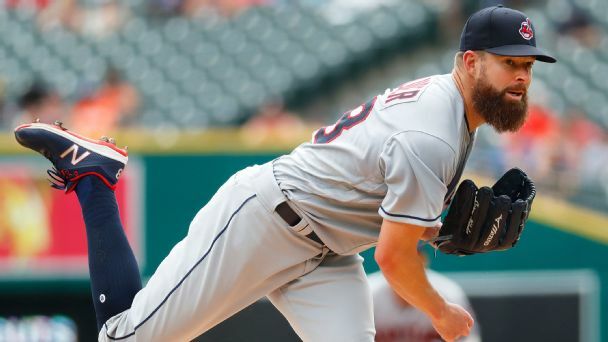 Adding Kluber to one of these clubs could help shift the balance of power in 2019 and beyond. 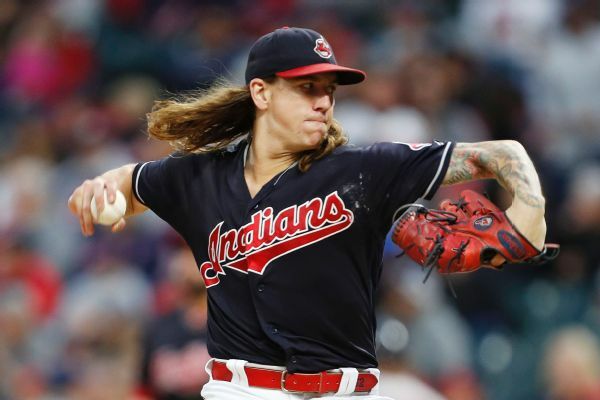 With Mike Clevinger's fourth strikeout Saturday night, the Indians became the first team to have four pitchers reach the 200-strikeout milestone in a single season. 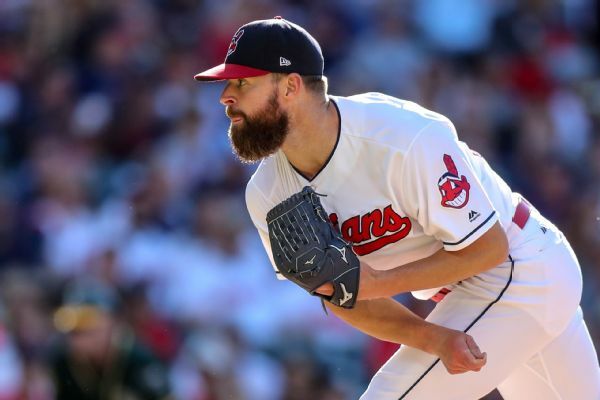 The Cleveland Indians have decided to skip ace Corey Kluber's weekend turn in the rotation as they prepare their pitching rotation for the playoffs.